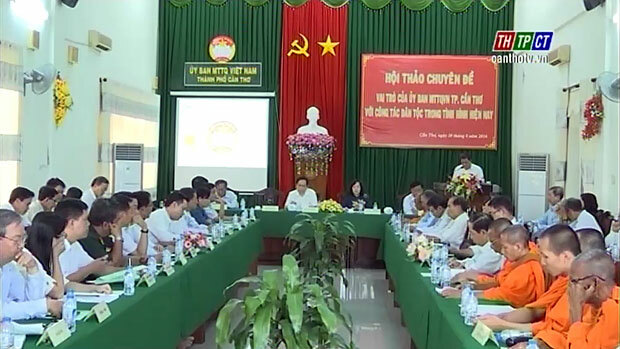 “The role of Việt Nam Fatherland Front of Cần Thơ city with ethnic group task” is the theme of the workshop, held on the afternoon of August 30th. The Workshop “Roles of Cần Thơ City’s Viet Nam Fatherland Front With Minority Affairs”. Mr. Trần Thanh Mẫn – Member of the Party Central Executive Committee – Vice Chairman, Secretary General of Việt Nam Fatherland Front Central Committee; Mr. Phạm Văn Hiểu – Standing Vice Secretary of Cần Thơ city Party Committee, Chairman of the city People’s Council, Ms. Phan Thị Hồng Nhung – Chairwoman of Việt Nam Fatherland Front Committee attended. Delivering the opening speech at the workshop, permanent member of the city Party Committee – Chairwoman of Cần Thơ city’s Viet Nam Fatherland committee Phan Thị Hồng Nhung stressed that the workshop aims to assert positions, roles, significance of minority affairs assumed by Cần Thơ city’s Viet Nam Fatherland front committee, evaluate the results of minority affairs assumed by the whole political system in the past time. Delegates presented and discussed the results of good models, lessons of experience in the minority affairs, especially for Khmer minority people. Mr. Phạm Văn Hiểu – Standing Vice Secretary of the city Party Committee, Chairman of Cần Thơ city’s People’s Council. 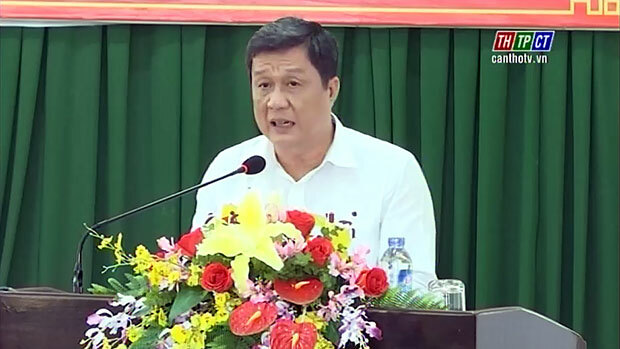 Standing Vice Secretary of the city Party Committee – Chairman of Cần Thơ city’s People’s Council Phạm Văn Hiểu highly valued the results gained by Viet Nam Fatherland Front committees at all levels. He directed them to further boost the political-ideological tasks, to well carry out the socio-economic policies within minority people, to renew operational forms of Fatherland front while paying attention to solving proposals pointed out by delegates of religions and ethnic minority people at the workshop./.